Fourier Transform Infrared Spectroscopy operating in Reflection–Absorption mode has been demonstrated as a potential spectroscopic technique to develop new methodologies for detection of chemicals deposited on metallic surfaces. Mid-IR transmitting optical fiber bundle coupled to an external Grazing Angle Probe and an MCT detector together with a bench Michelson interferometer have been used to develop a highly sensitive and selective methodology for detecting traces of organic compounds on metal surfaces. The methodology is remote sensed, in situ and can detect surface loading concentrations of nanograms/cm2 of most target compounds. It is an environmentally friendly, solvent free technique that does not require sample preparation. In this work, the ever-important task of high explosives detection, present as traces of neat crystalline forms and in lab-made mixtures, equivalent to the important explosive formulation Pentolite, has been addressed. The sample set consisted of TNT, PETN (both pure samples) and the formulation based on them: Pentolite, present in various loading concentrations. The spectral data collected was subjected to a number of statistical pre-treatments, including first derivative and normalization transformations to make the data more suitable for the analysis. Principal Components Analysis combined with Linear Discriminant Analysis allowed the classification and discrimination of the target analytes contained in the sample set. Loading concentrations as 220 ng/cm2 were detected for each explosive in neat form and the in the simulated mixture of Pentolite. This work was supported by the U.S. Department of Defense, University Research Initiative Multidisciplinary University Research Initiative (URI)-MURI Program, under grant number DAAD19-02-1-0257. 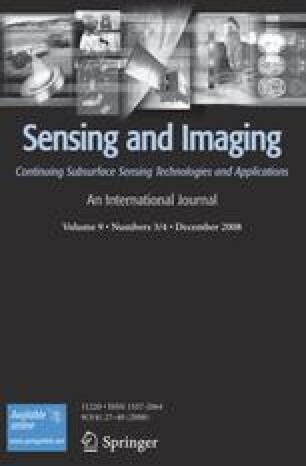 The authors also acknowledge contributions from Scott Grossman and Aaron LaPointe of Night Vision and Electronic Sensors Directorate, Department of Defense.